In this issue you will find all the summer time favorites and a couple more new items. The very popular 4th of July Celebration will be returning to James D. Kriegh Park and will feature another amazing fireworks show. The Family Summer Swim pass will keep everyone cool in the 100+ temperatures. The Drivein at the Driving Range movie nights are returning as are the teen dive-in movies. You will find great summer camp options for the kids at the Community Center, Aquatic Center and Steam Pump Ranch as well as tennis camps and golf camps. New this summer is a half-day camp for kids 12-15 years old held at the Oro Valley Leman Academy gymnasium (pg. 24). We are excited to have this indoor space and provide a fun and safe opportunity for this age group. We will also be hosting opengym for ages 16 years and older at the Leman gym every Friday night in June. Take a look at all the outstanding recreational opportunities and facilities for you to enjoy. Have a wonderful summer. See you in the parks! Register online by visiting us at http:// www.orovalleyaz.gov/parksandrec and selecting the “Register for classes” button in the far-right column of the page. Once you’ve reached the Online Registration page, follow these steps: 1. Enter your username and password or, if you do not have one, click “Need an Account?” Once your information has been submitted, you will receive a confirmation email. You may then register for activities by following the instructions below. 2. Under the Quick Links bar, click “Browse Activities.” 3. Locate your activity and click on the shopping cart on the left. 4. Click on the “Enroll Now” button that pops up at the bottom of the screen. 5. Check the box next to the person you would like to enroll for the class and click “Add to Cart.” 6.	Review and agree to the waiver by clicking “Agree.” 7. Click on “Proceed to Checkout,” enter payment information, or click “Continue Shopping” if you’d like to add more activities. 8. Click “Submit Payment” to complete the process and the system will generate a printable receipt. Scan this QR code with your smartphone to register online. 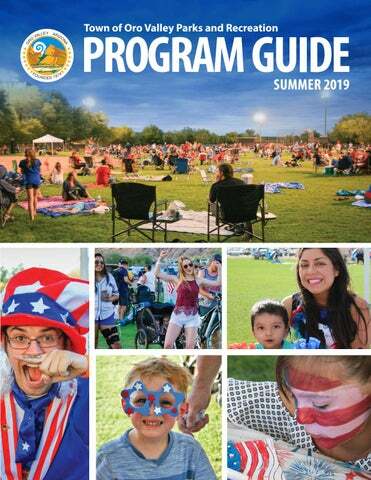 Layout and design by the Town of Oro Valley Communications Division. ORO VALLEY COMMUNITY CENTER 10555 N. La Cañada Dr. Oro Valley, AZ 85737 520-544-1900 orovalleyaz.gov/community-center Hours of Operation Monday - Friday 5 a.m. to 9 p.m. Saturday - Sunday 6 a.m. to 8 p.m. The Oro Valley Community Center is a 52,000+ square-foot facility located in the heart of Oro Valley. The center features more than 100 fitness classes a month, Kids Korner, a full suite of cardio and strength equipment, spin studio, two racquetball courts, four pickleball courts, 15 lighted tennis courts, two 18-hole golf courses and lap pool. The center also has two meeting rooms, a golf shop and full service restaurant/bar. The Parks and Recreation Administrative Offices are located in the center. There are two fitness packages: Classic and Premium. Fitness memberships are billed monthly, with a 30-day written cancellation notice required. The Community Center also offers drop-in daily use fees. Non-residents pay an additional $5 per month for Youth, Adult and Senior Memberships, and an additional $10 per month for Couple and Family Memberships. Tee off under the warm Arizona sun in the shadow of the magnificent Santa Catalina Mountains. El Conquistador Golf and Tennis located in the heart of Oro valley boasts of three Championship golf courses. The Conquistador, Canada and Pusch Ridge courses provide a fair yet challenging test that is sure to deliver a true Sonoran desert golf experience. El Conquistador Golf and Tennis located at the Oro Valley Community Center combines 36 holes of exceptional golf with an extensive practice facility, golf shop and restaurant; for more information or to book a tee time visit www.elcongolfandtennis.com. * Troon Privé Privilege does not apply to the Adventurer Membership. GOLF MEMBERSHIP INFORMATION For more information, contact membership sales at 520-229-5357. CHEAPER BY THE DOZEN Receive 12 months of golf membership for the price of 11! Sign up for a full golf membership with this great promotion and receive one free month of dues AND cart fees! Savings up to $600! For more information about golf membership and membership promotions, contact 520-229-5357. The Oro Valley Aquatic Center is competition-ready and full of family-friendly amenities for guests of all ages! The Aquatic Center is open year-round with an average water temperature of 80 degrees. One year membership from date of sign-up. Applies to all ages. Swim times only between the hours of 10 a.m. and 2 p.m., Monday through Friday, and anytime on weekends. Annual Memberships - Paid in full for one year Any Annual Memberships (Single, Couple or Family) that are paid in full for one year upon registration will receive a 12-Visit Guest Pass to use at patron’s discretion. $5 Sunday Family Fun Day May 19 - August 11 Each Sunday Family Fun Day runs from 10 a.m. - 2 p.m., and costs just $5 for a family up to 6 members. Please be mindful of pre-existing closures. Schedule your birthday party, special event or corporate meeting at the Oro Valley Aquatic Center. Find out how at www.orovalleyaz.gov/aquatics or call 520-297-SWIM (7946). For details on classes, programming, special events, fees and memberships, call us at 520-297-SWIM (7946) or visit orovalleyaz.gov/aquatics. Follow us on Facebook! Must provide 30 days notice and fill out Cancellation Form to be removed from Automatic Billing. *Price includes admission to the Aquatic Center. Discounts may apply for any additional guests (over the 50 person count). Please see Aquatic Center Manager for details. Full payments for all facility reservations are due to the Oro Valley Aquatic Center on the day that the reservation is made. No reservation will be considered firm unless full payment is made. Snack bar, $15/hour Movie projector and screen set-up $200 Patron supplies the DVD movie. *Proof of residency required for Oro Valley Resident Rates Children under 13 years old must be accompanied by an adult. (An adult is defined as a parent/guardian over the age of 18.) This does not apply to children who are part of a swim team at the Oro Valley Aquatic Center while a coach is on deck. LIFEGUARD CERTIFICATION COURSE Interested in a fun and exciting career in Lifeguarding? The Oro Valley Aquatic Center can help you get started. Come join an Oro Valley staff member as they teach the American Red Cross Lifeguarding skills. A certification in Lifeguarding from the American Red Cross is your first step in obtaining a rewarding job as a lifeguard. All participants must pass a pre-course screening on the first day, including treading water, swimming and retrieving. Call for details. Course requires a 3 participant minimum and a 10 participant maximum. Please bring a sack lunch. Audience:	Ages 15+ Days/Times:	Monday - Friday, from 9 a.m. to 4 p.m. Session Dates:	June 3 - 7 June 10 - 14 June 24 - 28 Fee:	$90 Location:	Oro Valley Aquatic Center 23 W. Calle Concordia Info:	Call the Oro Valley Aquatic Center at 520-297-7946 or register online at https://eservices.orovalleyaz.gov/registration/ All participants must pass a pre-course screening on the first day, including treading water, swimming and retrieving. Call for details. Course requires a 3 participant minimum and a 10 participant maximum. Please bring a sack lunch. Thursdays, 4:15 - 5:30 p.m. Session dates: 	May 2, 9 & 16 May 23 & 30 June 6 & 13 June 20 & 27 July 11 & 18 July 25 & Aug. 1 Aug. 15, 22 & 29 Fee:	$12 for 2 lessons, $18 for 3 lessons Instructors:	 Oro Valley staff member Meaghan Bunge is a Level 3 Nationally Certified Olympic Coach. She is a 3D division tournament champion and has placed first in many line tournaments in Arizona. Location:	 Oro Valley Archery Range at Naranja Park 810 W. Naranja Dr. GOLF For youth golf programs, please see Golf section on page 26. YOUTH PROGRAMS KARATE/TAE KWON DO Build confidence and learn self-defense at the same time with Sensei Hupp. Martial arts are a great way to keep in shape, gain a new skill set and build character. Classes start every month. Audience:	All ages Days:	Mondays & Wednesdays Times:	6 - 7 p.m. (all ages) Session Dates:	Monthly Fees:	Individual: $80 (per month) Family (2 people): $145 (per month) Family (3 people): $200 (per month) Late fee of $25 if not paid by the 15th of the month Location:	Oro Valley Community Center 10555 N. La Cañada Dr. Info:	Call 520-544-1900 for more details. TEAM DANCE Team Dance is a blend of street jazz and hip-hop, choreographed to the hottest new songs! If you love to dance, this is the place to be. Audience:	Grades 1 - 5 Days:	Monday: Copper Creek Elementary School Tuesday: Wilson K-8 School Wednesday: Painted Sky Elementary School Thursday: Innovation Academy K-5 STEM School Times:	Copper Creek, 2:30 p.m. Wilson K-8, 12:25 p.m. Painted Sky, 3:15 p.m. Innovation Academy K-5 STEM, 3:30 p.m. Session Dates:	Copper Creek: Aug. 19 - Sept. 23 (no class Sept. 2) Wilson K-8: Aug. 20 - Sept. 24 Painted Sky: Aug. 21 - Sept. 25 Innovation Academy: Aug. 22 - Sept. 26 Fees:	$55 per session Instructor: Shawna Dorame, Jazzercise and Team Dance instructor Locations:	Copper Creek Elementary School gymnasium, 11620 N. Copper Spring Tr. Wilson K-8 foyer, 2330 W. Glover Rd. Painted Sky Elementary School additional PE room, 12620 N. Woodburne Ave. Innovation Academy K-5 STEM School gymnasium, 825 W. Desert Fairways Dr.
TENNIS For youth tennis programs, please see Tennis section on page 28. We will explore a variety of arts and culture, including clay, paint, creative play, drama, culinary art and so much more! Additionally, we will discuss utilizing time, region and the roots of culture as they pertain to the points above. Many experts in their fields will share a wealth of knowledge and fun with your children! This exceptional program is sure to fill quickly, as attendance is limited to 40. Reserve your space early! Note this is an outdoor camp with a large, climate-controlled tent for inside activities. Audience:	Ages 6 - 12 Days:	Mon. - Fri. Session Dates:	June 3 - August 2 (no camp July 1 - 5) Fees:	 Oro Valley Resident & Non-Resident Rate: 7 a.m. - noon $60 per week 7 a.m. - 4 p.m. $140 per week* 7 a.m. - 6 p.m. $158 per week* *Price includes transportation to the Oro Valley Community Center Info:	Call 520-229-5052 or 520-229-5064 for more information. Location:	Steam Pump Ranch, 10901 N. Oracle Rd. This weekly program will include swim lessons, park play, crafts and music fun. Itâ&#x20AC;&#x2122;s a high energy program that encourages leadership, creativity and basic swimming skills in a safe and fun environment! A snack per day will be provided. Campers must bring sunscreen, a water bottle and sack lunch. Audience:	Ages 6 - 12 Days/Time:	 Mon. - Fri., 9:30 a.m. - 3:30 p.m. Dates:	May 28 - July 26 (weekly) No camp Mon., May 27 or Thurs., July 4. Weeks will be pro-rated Session Dates:	May 28 - 31* (no camp on May 27) June 3 - 7 June 10 - 14 June 17 - 21 June 24 - 28 July 1 - 5* (no camp on July 4) July 8 - 12 July 15 - 19 July 22 - 26 Weekly Fees:	Resident / Non Resident: $115 (swim lesson included) per week *May 28 - May 31 & July 1, 2, 3 & 5 (4 days each): $92 Morning and afternoon extended care are available at the Oro Valley Community Center via Sun Shuttle Dial-A-Ride (We will make the arrangements for you. Price is included).  Extended Care (transportation included) AM care (7 - 9 a.m.) $40 PM care (3:30 - 6 p.m.) $40 4-day week AM care (7 - 9 a.m.) $32 4-day week PM care (3:30 - 6 p.m.) $32 Camp Dropoff:	 Parent pickup and drop off at the Quail Ramada, north of the pool at James D. Kriegh Park. Location:	Oro Valley Aquatic Center 23 W. Calle Concordia. This three-day camp is for boys and girls, including those who are new to the game and those with prior lacrosse experience. Separate tracks will be provided for players of different ages and different skill levels. Instruction at the camp will focus on the introduction and development of basic lacrosse skills. No equipment required. Lacrosse sticks and protective gear will be provided as needed. (Players with their own gear should bring it to each camp session.) Audience:	Ages 5 - 14 / Girls Ages 5 - 17 Days/Time:	 Monday, June 10 through Thursday, June 13, 2019, 6 - 7:30 p.m. Fees:	$25 per player Instructors:	 Coaches with US Lacrosse Level 1 Certification Location:	Oro Valley Community Center 10555 N. La CaĂąada Dr. Registration:	 Online at Oro Valley Lacrosse Club website http://orovalleylacrosse.org or through the Town of Oro Valley Parks & Recreation website. Summer Camp is an active camp for active youth. If you remember the best parts of being a kid as the games you played in PE or the backyard games you created with friends, this is the place for your children to be. Participants will swim, hit golf and tennis balls, play games, create arts and crafts, and enjoy active fun with our creative staff. Morning and afternoon snacks will be provided; children must bring a sack lunch, swimsuit, towel and sunscreen. Space is limited. Sign-ups will be on a first-come, first-served basis. Audience:	Ages 6 - 12 Days/Time:	 Mon. - Fri., 9 a.m. - 4 p.m. Dates:	May 27 - Aug. 7 (weekly) Extended Care:	7 - 6 p.m. Session Dates:	May 27 - 31 June 3 - 7 June 10 - 14 June 17 - 21 June 24 - 28 July 1 - 5* (no camp on July 4) July 8 - 12 July 15 - 19 July 22 - 26 July 29 - Aug. 2 Aug. 5 - 7*  *July 1 - 5 and August 5 - 7 short weeks are pro-rated Weekly Fees:	$140 (+$20 a.m. extended care; +$20 p.m. extended care) Location:	Oro Valley Community Center 10555 N. La CaĂąada Dr.
Sports Camp will offer participants the opportunity to try a number of different sports and activities in a fun and interactive environment. The camp will be held at the Leman Academy of Excellence Gymnasium and will be available for children ages 12 to 15. 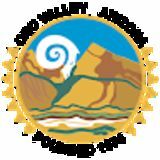 The curriculum is currently in development so be sure to visit the Town of Oro Valley website at www.orovalleyaz.gov or contact our Recreation Office at 520-544-1900 for more information. Audience:	Ages 12 - 15 Days/Time:	Mon. - Fri., 7:30 - 11:30 a.m. Session Dates:	June 3 - 7 June 10 - 14 June 17 - 21 June 24 - 28 Fee:	Please visit www.orovalleyaz.gov for details. Location:	Leman Academy of Excellence 12255 N. La CaĂąada Dr. Location:	Call 520-544-1900 for more info. PLAY-WELL TEKNOLOGIES CAMP Kids are already naturally gifted creators. We give them added inspiration from our specially trained instructors. They dive into our massive collections of LEGOs®. And while they build elaborate objects, structures and vehicles, they explore fundamental principles of engineering and physics. They also learn to collaborate and create without fear of mistakes. The experience is joyful, and the impact is long-lasting. This class is not affiliated with the LEGO Group. Camps are divided by age, with ages 5 - 6 building from 9 a.m. to noon, and ages 7 - 12 building from 1 to 4 p.m.
Level up your engineering skills with Play-Well TEKnologies and tens of thousands of LEGO® parts! Apply real-world concepts in physics, engineering, and architecture through engineer-designed projects such as: Gear Cars, Gondolas, Merry-Go-Rounds, and Scissor Lifts. Design and build as never before, and explore your craziest ideas in a supportive environment. I CANTOO! TOO! PROGRAMS I CAN PROGRAMS I Can Too! is Oro Valley’s program for young people with disabilities. Through the use of activity modifications and greater staff-to-youth ratios, participants will have the opportunity to play alongside their non-disabled peers. No extended care option available. Maximum is four participants per session. Camp is geared toward those with intellectual disabilities (e.g. Down syndrome, Asperger’s, Autism, learning delays). Aides are welcome to be present if requested. Programs do not accept DDD (Division of Developmental Disabilities) respite care funding, and the DDD does not reimburse for services. Staff will be contacting parents one week prior to camp or when roster is full to address any questions or requirements. ARCHERY MEMBERSHIPS Oro Valley’s Archery Range is located at Naranja Park, 810 W. Naranja Drive. The range is open sunrise or 6:00 a.m. (whichever is later) to sunset. Archers must bring their own equipment. There are 28 targets, including a fixed range and two walking courses. The range is open to all ages and skill levels. Student Annual Pass $30 with School I.D. Youth Annual Pass $20 Family Pass $135 per family (in same household) Annual passes can only be purchased at the Oro Valley Community Center, 10555 N. La Cañada Drive, Monday - Friday, 8:00 a.m. - 5:00 p.m. Please fill out and bring the membership form with you or call 520-229-5050 for assistance. Visit www.orovalleyaz.gov and type “archery annual pass” in the search bar at the top. Get in shape, have fun, meet new people and it’s free! This walking group is very active. In addition to walking three times weekly, the group has adopted a wash that runs alongside the park. GOLF For golf opportunities, please see page 26. KARATE/TAE KWON DO Build confidence and learn self-defense at the same time with Sensei Hupp. Martial arts are a great way to keep in shape, gain a new skill set and build character. Classes start every month. Audience:	All ages Days/Times:	Mondays & Wednesdays, 6 - 7 p.m. (all ages) Session Dates:	Monthly Fees:	Individual: $80 (per month) Family (2 people): $145 (per month) Family (3 people): $200 (per month) Late fee of $25 if not paid by the 15th of the month Location:	Oro Valley Community Center 10555 N. La Cañada Dr. Info:	Call 520-544-1900 for more details. OPEN GYM BASKETBALL Bring a ball and friend to our free open gym basketball nights. The gym will be available for open play; if there is enough interest, games will be allowed to play to 15 in order to accommodate other players. Open to any and all skill levels. Audience:	Ages 16+ Days/Time:	 Fridays, 5:30 - 9 p.m. Dates:	 June 7, 14, 21 & 28 Fees:	Free Location:	Leman Academy of Excellence 12255 N. La Cañada Dr. Info:	Call 520-544-1900 for more info. PAINTING AND DRAWING WITH CHRISTINE LYTWYNZUK Join us in our fun and supportive Painting and Drawing class. This class is structured like a “small group private lesson.” Christine will work with artists one-on-one, helping them achieve their specific goals in art and at their own pace. All skill levels are welcome! If you’ve never touched a brush before or can’t draw with a pencil, no problem! Christine can help you build a strong foundation and give you the confidence you need to make art an enjoyable and rewarding part of your life. Audience:	Ages 13+ Days:	 Thursdays or Saturdays Times:	 Saturdays 9 a.m. - Noon Thursday 1 - 4 p.m. Session Dates:	Each month begins new session Fee:	$180 (5 week session) $145 (4 week sessions) depending on month or $40 per drop-in class Location:	 Oro Valley Community Center 10555 N. La Cañada Dr. Contact:	Call 520-544-1900 for more info. ADULT PROGRAMS SILVERSNEAKERS FLEX STRENGTH & BALANCE Brought to you by Healthways SilverSneakers® Fitness Program Healthways is the leading provider of specialized, comprehensive health solutions, helping millions of people maintain or improve their health and, as a result, reduce overall health care costs. SilverSneakers encourages Medicare-eligible individuals to participate in physical activity and enjoy the company of others. SilverSneakers is the nation’s leading fitness program designed exclusively for active older adults. This program is especially beneficial to individuals with Parkinson’s and neuromuscular disorders. All ages Monday - Saturday, 7:30 - 11:30 a.m. for pickup games. Court open during Community Center hours. Fee:	 Members: Free Drop in: $5-$8 depending on age/ residency Location:	 Oro Valley Community Center 10555 N. La Cañada Dr. Contact:	Call 520-544-1900 for more info. TENNIS For adult tennis programs, please see Tennis section on page 29. Mon., Wed., & Fri., 2:30 - 4 p.m.
Rancho Vistoso Urgent Care, 13101 N. Oracle Rd. Audience: *Juniors are defined as golfers 15 years of age and under. Dates/Times: Daily, year-round, at participating Troonmanaged facilities world-wide. Restrictions for holidays, course maintenance and closures may apply. Tee times:	*Call the El Conquistador Golf Shop at 520-544-1801. Please mention the Family Golf Program when making tee time(s). Program is based on availability and valid at participating Troon-managed facilities. Juniors receive on course instruction, learning a full swing, chipping, putting and the basic rules of golf. Juniors will also enjoy complimentary clubs to use during each session and will receive a complimentary beverage following their instruction. The wait is over! Enroll your future star in El Conquistador’s Summer Junior Series. The Town of Oro Valley, in partnership with Troon, is introducing juniors to the world’s greatest game! Our Summer Junior Series offers young golfers the ability to learn golf fundamentals, etiquette and develop a competitive edge on the golf course. It’s simple and affordable! Audience: Ages 6 - 15 Days/Times:	Varies Fees:	$55 per month (four sessions for the price of three) Location: Oro Valley Community Center 10555 N. La Cañada Dr. Registration: Call the Golf Shop at 520-544-1801. OTHER GOLF INSTRUCTIONAL PROGRAMS Our golf team can customize a variety of instruction programs. Please contact us at 520-544-1801 for more information about these exciting programs. Registration: To sign up for tennis programs, or for information, please call 520-544-1780. Time lost due to rain will be added to other days in the week. If needed, make-ups will be held on Friday. Some sessions are held Tuesday through Friday due to events. Duration of clinic depends on number of participants: ½ hour for 1-2 players; 1 hour for 3-5 players; 1 ½ hours for 6 or more players. The El Conquistador Tennis Leagues will be held at the Oro Valley Community Center Tennis and Pusch Ridge Tennis facilities. The leagues will last 8 to 10 weeks and are a great way to practice and meet new people. Please see schedule below. Summer League Dates Sign-up: Monday, May 27 - Monday, June 24 League begins: Week of July 8 Fees: $25 Premium & Classic Member $45 Non-member Contact: Please contact El Conquistador Tennis at 520-544-1780 with any questions. Create your own Come to us with your group, and match day/time and we will take care of everything else. WE ENCOURAGE YOU TO LEARN THE GAME OF TENNIS! Introductory classes will be offered for both adults and children of all ages interested in trying and learning the game of tennis. These classes will be taught by the El Conquistador Teaching Staff at the Oro Valley Community Center and racquets will be available. Please call the Tennis department at 520-544-1780 for more information and get in the game! Special community Tennis events will be scheduled as well! Please stay in touch. Thurs. and/or Sat., 9 - 10 a.m.
Class is ongoing. You may start at any time. Prehistoric Hands-on Archaeology •	Experience a replica Hohokam pithouse. •	Eat the same type of foods as the prehistoric people. •	Learn about the tools they used and how they were made. •	Learn how they hunted and try similar techniques. •	Learn how they grew food and how they obtained the necessary water. Pusch Family history from the 1870s - 1920s •	Learn about how this pioneer family settling in the Tucson area over 100 years ago ran a business and a cattle ranch. •	Learn about early government through George’s term in the Arizona House of Representatives at the time Arizona became a state. (George was a member of the Tucson City Council.) •	Discover how the family were friends to the native peoples in the area. •	Learn about how the family ran the Steam Pump that watered cavalry, Pony Express, stagecoaches and cattle. Proctor - Leiber history from the 1930s - 1990s •	Learn about this important family to the ranch’s history. •	As manager of the Pioneer hotel, Jack Procter grew herbs and vegetables as well as raised chickens on the ranch for those visiting the hotel in downtown Tucson. He also held big gatherings that brought important people out to the ranch. •	Learn about early baseball in Tucson and the nation through Hank Leiber. If you are interested in any of the above opportunities, please call Oro Valley Parks and Recreation at 520-229-5050. 9 a.m. - 7 p.m. 10 a.m. - 5 p.m. 9 a.m. - 5 p.m. 1 p.m. - 5 p.m.
Bring your family and friends to the Oro Valley Community Center and enjoy a FREE movie on the third Saturday of every month. Set up a blanket or some chairs, or hang out in one of our golf carts (only our carts are allowed, please don’t bring your own vehicle). Please be courteous to others and leave your pets at home. This FREE summer movie series is presented by the Youth Advisory Council and is a fun, safe and secure event for Oro Valley teens, ages 13-19. Join us for fun pool games and a movie! Saturday, May 19 Kids to Parks Day is an event hosted by the National Park Trust, aimed at connecting kids and families with their local, state and national parks. In support of this effort, everyone who visits an Oro Valley park, pool, path or recreational amenity on May 18, and sends us a photo of their day, is eligible to receive a FREE family day pass at the Oro Valley Community Center or Aquatic Center! Plus, their photo may be featured on the Oro Valley Parks and Recreation Facebook page! Just email your photo to Lynanne at Ldellerman@orovalleyaz. gov, and you will receive instructions on how to claim your free Community Center or Aquatic Center pass. Photo submission deadline is Saturday, May 25, 2019. Learn more about Kids to Parks Day at www.parktrust.org/kids-toparks-day. FREE PICKLEBALL NIGHT Wednesday, June 12, 6 - 7:30 p.m. All ages welcome! Oro Valley Community Center, 10555 N. La Cañada Dr. You’ve heard of Pickleball. Your friends play it. You’ve seen it on TV. But you don’t know if it’s for you. Join us for a free trial of playing Pickleball. Come check it out and have some fun. See what all the fuss is about! Call 520-544-1900 for details. ROUND UP AT THE RANCH 5K RUN/WALK Sunday, June 23 at 6 a.m. Steam Pump Ranch, 10901 N. Oracle Road $20 prior to race day; $25 on race day This fourth annual summer 5k will take place along the multi-use path, beginning at Steam Pump Ranch, and will include snacks, water, watermelon and a water balloon toss! Runners, walkers and strollers welcome! A different course than the Hot Cocoa 5k, this race will head east toward Catalina State Park. PUT ME IN COACH Saturday, July 13, 8 - 11 a.m. CDO Riverfront Park, 551 W. Lambert Lane This FREE, one-stop-shop event for your child’s sports registration will feature numerous Oro Valley based sports teams, sports retailers and hands-on sport clinics. Come play, ask questions and sign your child up for their favorite physical activity. Prizes to overall male and female winners, and five-year age group prizes. Proceeds from this event will benefit the Town’s Round Up For Youth Recreation Scholarship Program. Children 12 and under race for free with a paying adult. Number pickup is on Saturday, June 22, from 10 a.m. to 1 pm. at the Oro Valley Community Center Arizona Room, 10555 N. La Cañada Dr., Oro Valley, AZ 85737. Register in advance at: https://www.active.com/oro-valley-az/ running/round-up-at-the-ranch-2019 Race day registration begins at 5 a.m. on June 23. Free event socks to participants, while supplies last. For more information, please call Parks and Recreation at 520-2295050. Oro Valley Community Center, 10555 N. La Cañada Dr.
Friday, July 12 and Friday, August 16, 5:30 - 6:30 p.m.
Bring the kids, grab grandma, connect with your sister - it’s Family Yoga night at the Oro Valley Community Center. Enjoy a quality yoga program with one of our professional instructors as they guide you through a simple and fun routine to increase flexibility, balance and overall health. This is a perfect opportunity to introduce Yoga to the kids, yourself and anyone who’s interested. Call 520-544-1900 for more details. Due to hot weather conditions, there are no Pusch Ranch House tours, garden activities (unless specified) or live music from May through September 2019. Regular programming will resume October 2019. Join us from 8 a.m. to noon on the second Saturday of every month! Special note: Ride your bike or walk to the Heirloom Farmers Market via the multi-use path on a Second Saturday at Steam Pump Ranch and receive a $1 coupon to use at Steam Pump Ranch Artisan and Commerce Corral vendors (offer limited to the first 20). Pick up your coupon at the Parks and Recreation booth. MONTHLY SPECIAL DINING EVENTS FIRST FRY-DAY FAMILY FISH FRY First Friday of the month, 5 - 8 p.m., join us for a Family Fish Fry. Entrée selections include: fish and chips, shrimp basket, cedar plank walleye and more! Reservations recommended. SECOND SATURDAY DATE NIGHT Join us on the Second Saturday of the month, 5 - 8 p.m., for Date Night, a special three-course dinner for two with paired wine suggestions. Reservations recommended. THIRD THURSDAY PASTA AND PIZZA On the third Thursday of the month, 5 - 8 p.m., enjoy the very popular pasta night buffet with a choice of a plated salad. Also available are house-made specialty pizzas and a petite a la carte menu. Reservations recommended. WESTERN BBQ WEDNESDAYS Make plans every fourth Wednesday of the month, 5 - 8 p.m., to enjoy slow-cooked smoked and tangy BBQ favorites. Western Wednesdays feature chuck wagon chili, ranch hand salads, tender beef brisket, baby back ribs, grilled barbeque chicken, loaded roasted red potatoes, corn on the cob and more. Save room for apple cobbler ala mode or a brownie sundae. Reservations recommended. Lunch Service: Daily, 10 a.m.- 3 p.m. Kitchen closes daily at 3 p.m. Happy Hour drink prices: Daily, 2 - 4 p.m. Overlook closes daily at 4 p.m. with the exception of dinner special nights. Sunday, May 12, 2019, 10 a.m. - 2 p.m. These delicious, savory tacos include shredded cabbage, pickled onion, cilantro crema and pico de gallo. Every Tuesday, 10 a.m. - 3 p.m.
Every Saturday, 10 a.m. - 3 p.m.
June 16, 2019, 9 a.m. - 1 p.m.
We’re celebrating YOU! Firefighters, police officers, EMTs and teachers receive 15% off the Overlook lunch menu with valid employment ID or badge. Delicious buffet for Dad including pastries, fresh fruit, breakfast potatoes, crisp bacon, sausage, yogurt parfaits, two chef special dishes and a complete built to order omelet station. Reservations required. Please call 520-229-5355. Celebrate July 4th with an All-American classic BBQ, featuring beef brisket, BBQ chicken, coleslaw, potato salad, ice cream sundae bar and much more. Reservations required. Please call 520-229-5355. Additional dinner parties, receptions and special events can be arranged upon request. For complete details on these special events, including menus, visit us at www.elcongolfandtennis.com or follow us on Facebook at El Conquistador Golf.